This object lesson is perfect to use at Halloween. Something that people use as decoration will remind children how Jesus saves them from their sin. Needed: 2 jack-o-lanterns. One should have a frown carved, and should be warped and ugly. It shouldn’t be cleaned out completely and shouldn’t have a light in it. If you can, leave it to rot for a few days. The more disgusting it is, the better. 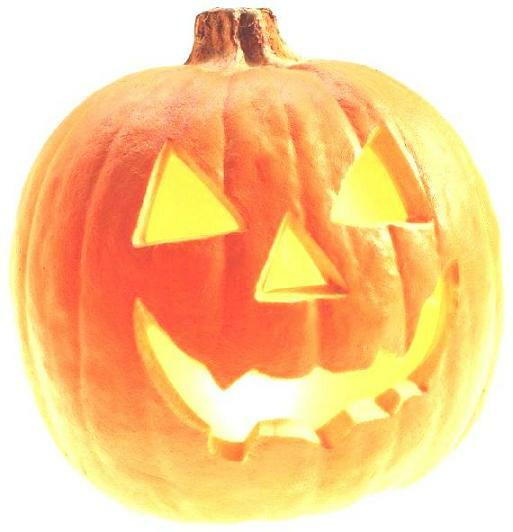 The second jack-o-lantern should be clean, with a smile on its face and a candle in it. Everywhere you go at this time of the year, you see jack-o-lanterns. Did you know jack-o-lanterns can remind you of how Jesus saved you. Before Jesus came into your heart, you were like this jack-o-lantern. Show first jack-o-lantern. You were full of sin and dirty inside. You had no light inside you, and you were very unhappy. But Jesus came into your heart and cleaned all the sin inside. Show the second jack-o-lantern. He gave you peace and put a smile on your face. He even shines His light through you. So everywhere you go this Halloween, when you see a jack-o-lantern, let it remind you of what Jesus did when He saved you. This entry was posted in Children's Church, Halloween, Holidays, Object Lessons, Salvation Message and tagged Halloween, jack-o-lantern, object lesson, object lessons. Bookmark the permalink. great way to use a wordly thing for Christ. I remember when God gave you the object lesson many moons ago.